If you frequently style your hair with a flat iron, it’d be better to use a tool with ceramic plates. In my post about ceramic vs titanium I made a comparison and pointing a few reason you should pick ceramic over titanium. Ceramic hair straightening flat irons are hot styling tools that straighten your hair in the gentlest manner in term of heating. In other words, they style your hair with lowest side effect from heat. No more dry, burnt hair, ceramic straighteners have a lot of benefits over other types of flat iron, and here I’ve rounded up some of the best you buy on the market right now. The Solia Tourmaline Ceramic is rugged, durable and easy to handle. You see the iron is listed with Tourmaline and Ceramic, a perfection combination for normal hair. The also work on fine, relaxed or sensitive hair. It has 1 and 1/4 inch plates, so if you have thin or short hair, you should try the one with smaller plate sizes. If you are confused which size, check out this guide. While ceramic reduces much hair damage, the tourmaline adds shine and strengthen the hair structure. If you are looking for a ceramic tool that can work for many years without flaws, then Solia is very promising. 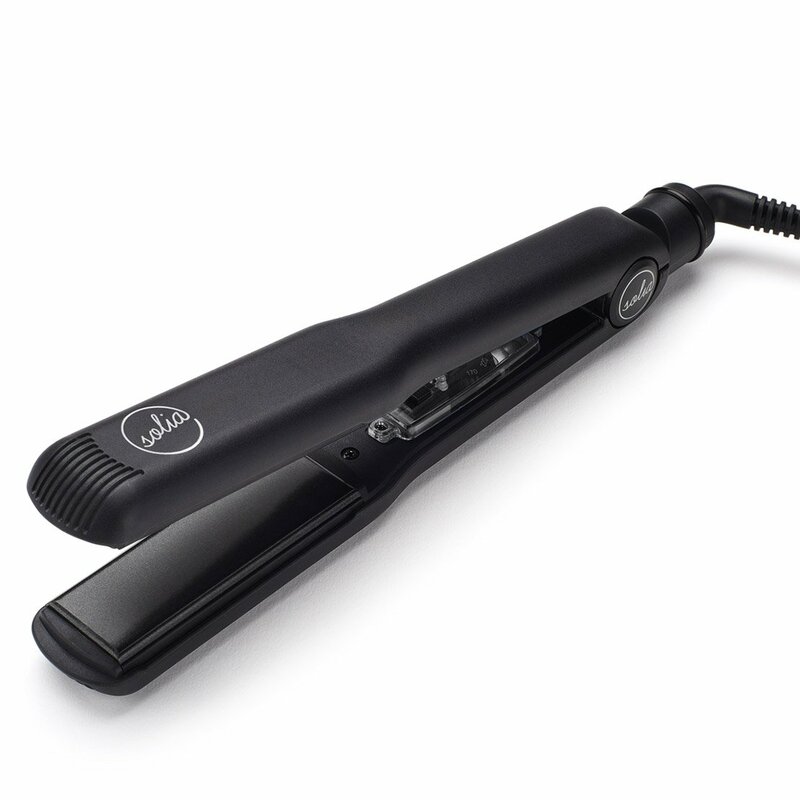 Plus, the straightener has a safe feature that it will automatically shut off when not in use. The auto shut off feature is very beneficial for persons who normally forget things. The variable temperature setting allows you to adjust from 170°F to 400°F with 5 setting levels . It didn’t take a long time for the HSI professional ionic since the first launch to become the best seller in its category. Unlike Solia with Tourmaline, the HSI beams a plenty of negative irons that is able to repair damaged hair, but it’s questionable how much their capacity to do so. However, a lot of people like this tool for home user or hair stylists, whether or not they add the term, ionic, this iron still is my favorite. Heating to your set temperature in 25 seconds, when you change to other setting, it would take the same time. The ceramic plates provide persistent heat. Come with an inexpensive price, the HSI iron is lightweight and easy to use and handle with 360 degree swivel cord. They include a bunch of accessories like heat-resistant glove, carrying case. Keep in mind that though this straightener’s heat setting is variable, it is not ideal for those with supper thick and curly hair in term of time saving because of one inch plate sizes. But with this size, you can go in to the roots when dealing with your bangs. Fixed heating hair straightener is not for everyone, they are for a number of hair types and textures. Most tools with fixed heating have one inch plate size, the optimum size for medium hair. The Chi flat iron is designed for this purpose, once you switch it on, the plates will instantly get to 392 F, a temperature great for medium hair, extend to short, normal or dry hair. 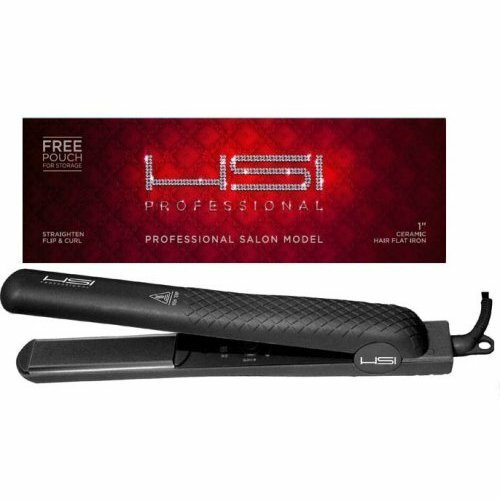 The last tool I would recommend is the professional, premium hair straightener, FHI Heat Runway. It plates are built with many layer of ceramic. The digital flat iron always let you know how hot they are by the color screen, which indicate the temperature range the plates are in. It is very difficult to figure out which hair straightener to choose from thousands of models on the market. The online stores, ads, social shares you are closed to the products as never before. Once you search for keywords related to the products, the ad popup relevant tools you’ve looking for. You are under the pressure of buying. However, in order to get to the desired temperature, you have to wait a little bit longer than titanium irons. You can buy high quality ceramic flat iron for several hundreds of dollars, wonder why they are so expensive? it depends on how thick the layer of ceramic is and how efficiently heat is conducted through. So the material for plate should be homogeneous. These straightener I recommended in this post for home users, if you look for high-end model, I will update this post shortly. Previous PostTitanium VS Ceramic Which Type of Hair Straightener Should I Choose?